Remember when buying a budget family car meant Spartan features with manual everything and an AM/FM radio? Aren't you glad times have changed? This is a great era in the automotive industry; a time when the average family can enjoy many of the luxuries that once were reserved for exclusive brands far beyond their financial reach. What a great time to be shopping for a 2015 Hyundai Elantra in Arlington! Fresh from a comprehensive makeover last year, the Elantra grew in sophistication, style and comfort, while remaining the bargain brand when compared to rivals like the Focus, Corolla and Civic. 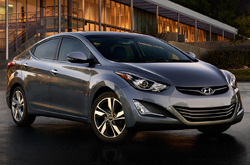 Our 2015 Hyundai Elantra review will focus on Elantra's style, features, safety, economy and value. Thanks to Hyundai's brand-stamping its "Fluidic Sculpture" design on all the cars in its lineup, the little Elantra receives the same elegant swirl of curved metal and swept back lighting that adorns the upper tiers of the line. You can buy a 2015 Hyundai Elantra in Arlington in three body styles: sedan, coupe and hatchback, all of which offer up enough space to get this compact classified by the EPA as a mid-size. Split folding rear seats give you an enlarged trunk when you need it, while the hatch gives you crossover utility with 51 cubic feet when rear seats are folded down - perfect for packing someone off to college. About the only thing "manual" on the 2015 Elantra base sedan is the transmission. Power windows and keyless entry come standard along with AC, cruise control, Bluetooth connectivity and an AM/FM/satellite radio audio system with USB/iPod auxiliary input. The Elantra Coupe and GT Hatchback models provide standard heated front seats, a nice touch on cold winter mornings. With all the great standard features and a 5-star overall NHTSA safety rating, what you're really left with is the question of economy. As our 2015 Hyundai Elantra review continues below, click through on any of the sample Elantra inventory to discover not only prices, dealer discounts and incentives, but also EPA fuel economy estimates on each specific model and powertrain. 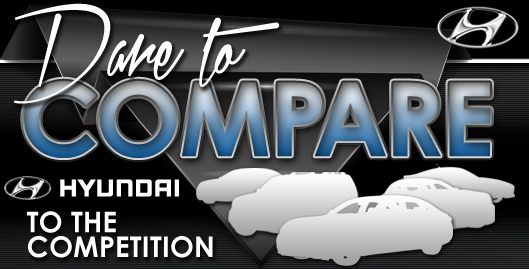 The 2015 Ford Focus, Nissan Sentra, Honda Civic, Mazda3, Chevrolet Cruze and the Toyota Corolla are no match for the 2015 Elantra! Just compare Hyundai's newest model side-by-side with them and you'll find that it outshines the competition easily. If the Elantra's budget-friendly MSRP and leading-edge incar technologies don't persuade you that it's the right vehicle for your needs, we're sure its eye-catching exterior styling will seal the deal. Many drivers in Dallas-Ft. Worth choose it because it's a fantastic value; compare its price to the vehicles in its segment to see for yourself. 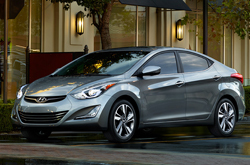 Get more details about what it offers - Browse our Elantra Quick List under this paragraph! 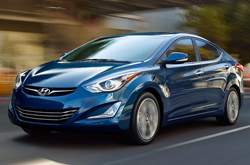 Thank you for reading our complete 2015 Elantra review, written by Vandergriff Hyundai's professional authors. We are a top-rated Hyundai dealer in Dallas-Ft. Worth, and it's our duty to provide you with reviews written by some of the most outstanding automotive writers in the industry. This Hyundai review contains credible information about the Elantra and it's specifications, powertrain options and more. Learn more about Vandergriff Hyundai's great lineup! Review and compare Hyundais other vehicles in our digital research index now!